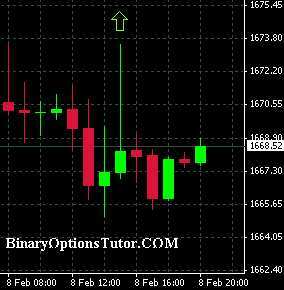 The following is an article that I wrote quite some time ago and shared on the popular Binary Options Daily Board. 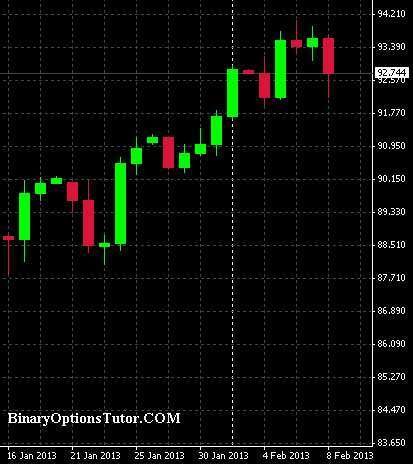 I will be talking about perception trading and how to apply it to your Binary options strategies in order to spot longer perceived trends the masses and institutions are trading around you will note the charts I used on this thread are from Months ago and this trade to go long USDYEN is still well alive and kicking. So I got something that came to mind while watching a video by a gentleman known online as Lotzofbotz. I am going to write about the idea that Botz gave me because I think he likes numbers but in some ways he thinks of the market rather existentially like I do. I like big words and I like to use them for the sake of my native tongue but I know they are sadly sometimes BS that people use to make themselves look smarter than they actually are IMO. So I will point them out in hopes everyone gets what I am trying to say and please understand I am just a guy no more smarter than anyone else reading this. If you can stomach this post it will possibly help you find better trend trades and call you out of some counter trend trades you would probably lose anyway. It will start you down the road of it getting easier for you to do trades that last a little longer more confidently. Attention anyone looking for the holly grail. You probably heard it does not exist that is a big LIE IMO it does exist it is all around you but man it is so frustrating watching guys miss the forest for the trees. The grail is LEARN to be OBSERVANT and PLAN. Go in any trader chat room for example and hang out and observe. See what guys are talking about and what guys REALLY BELIEVE in the markets. Turn on your TV CNBC and listen to what guys are saying ( trust nothing LOL ) you don't have to trust you just need to listen and understand that you are hearing the same thing broadcasted to A large MASS OF TRADERS. Somebody convinces you then what are the chances they convinced others in that LARGE MASS of traders watching and listening? Can you tell when a MoFo is persuasive or not? Does this require any indicator or special skills? here is what I am getting at. Your trading can be as hard or as easy as you as a human being decide to make it. So that said I like to try and keep my stuff pretty easy. I know guys want step by step but I hope to share observations that I get and maybe you can come up with some of your own steps and trading plans. Really I hope more people stop working so hard and start looking for observations once you get some ideas of what to look for in the charts and news. OK you might be saying so the Holly grail is just listening and planning you say Alfred what a load of BS. Let me give you something to think about. I was watching CNBC January 18Th. guys were talking about if Japans central bank is devalueing it's currency. I heard a nice lady come on and give her numbers of around 91.50 and then maybe she takes a bit off the top and lets the rest ride. Don't know her name but I know who she was and what I mean by that is that she was an Institutional Trader. Now before you run out grabbing indis loading up tons of charts on monitors and paying for seminars. Nothing wrong with any of that I paid $500 for a seat at a seminar back in the day so it's cool but how many Put trade losses did I avoid no matter what my technicals said? A lot, infact I remember going in a trade room to chat on the USA session and talking briefly there about 3 things I was watching and one was a PUT on the USDYEN but I said to a guy I was talking with there that I just could not take the trade. When we were hitting low signals what was I doing CALLS if anything and when we hit high signals what was I doing CALLS if anything? Why because I am a technical trader at heart dont get me wrong but there is a reason I HATE NEWS and it is because more times than not if the technicals indicate something contrary to the News the NEWS WINS. GEEKS don't rule in highschool and they dont on the markets either atleast not until there is NO CHOICE but to listen to them. This brings me to Botz point of perception trading after a lot of guys heard that same interview several were convinced and we got her numbers. She wanted us to get her numbers because after she gives us them she can shave back half earlier with NO INDIS at all. As more guys make money going long USDYEN the trade is perceived as safer and TBH I think Japan does want a weaker Yen as institutional investors and if you FOLLOW the MONEY to companies like SONY you can see how happy they are to be able to report better guidance because more guys are willing to buy their stuff due to a weaker Yen and who is their Bank? See not so hard to figure any of this stuff out because we are just looking at HUMAN beings before we pop up charts and indis and historical seasonal stuff and moon signs etc... the market is made of people and you got to see what people think ( perceive ) also identify the players and then strategies can take trades even further in your favor. OK if you are still with me congrats and as my other brother often says "I will never forget your bravery LOL?. Lastly lets look at something else here lately I been doing some PUTS on USDYEN and here is why because retail traders take a position and sell and make some money then look for another trade. 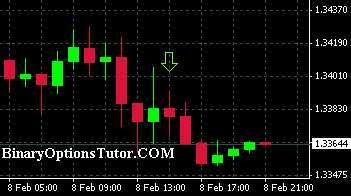 Institutional traders accumulate a trade and make money and then distribute what they have accumulated at the perfect time for them and make MORE MONEY. You will never beat them so join them. Buy the rumor and after the Yen is up if the trade is unwinding then sell the fact. I say unwind because their trades don't last an hour rather they are plans that can last weeks or months ( used to be even longer ). Plans not trades that is why they make money coming and going. How do you know when there is this kind of institutional interests. You don't really ever know and they will deny it LOL. You can get a good sign by observing closely and when you see confluence on pairs longer time frames but divergence on shorter time frames probably some institutional traders and maybe even investors there. Especially when you see BIG MOVES in SHORT TIMES. You can either set it out or hitch a ride if you have been observing closely. Lets look at it on a chart but again I want to drive the point home about a Holly Grail. Where did I first even get the thought to check this chart out from? A FREE VIDEO on Botz's channel just being observant and planning a trade. Looked like in December institutional traders were going long Euro and short Gold( Accumulating as talk of the fiscal cliff count down ran wild maybe). What are they doing now 2 months later(still distributing all the assets they accumulated at the best time for them ) maybe? Both instances they are making money and lots of it and not even playing the same game most people are. Look at these charts below. They are from Friday and I put some arrows on them to show you the 15:00 hour divergence and then look at the confluence of the pairs as they came back together. Some people made money and some lost on that hour but someone has been making money all along not even playing the same game. I wish this was skydiving or MMA but it is not as exciting so I know it is a lot to follow but hopefully someone is getting something because it opens up your mind when you start to see this you are not just trading instead you are hanging out with people you know trying to make money and not even playing the same game either. That is it for now and anyone making it this far good sign because this is about learning and growing everyday. Wait I need a cool catch phrase to end this on so what do you think about thanks for reading ATM and if Alfred is Talking Markets you can take it to the bank LOL. Inside the Signals and Premium content area I try to elaborate on this topic further and we decided to include a sample of that right here free for all users. The audio digs deeper into the Tutorial above. Find out one of my favorite shows I watched as a child and how it influences my trading and hopefully yours with the Coconut story aaround the end of the podcast. existential: Concerned with existence, esp. human existence as viewed in the theories of existentialism. So I view the markets any market is just where HUMAN BEINGS exist and are coming together trying to make money first and far-most was all I meant. Institutional traders: any person,company or central bank with so many big bucks to drop on one trade it gets attention. Institutional investors: any person,company or central bank with so much big bucks to drop on one trade it gets attention but they want to hold their trade for a while or insure the probability of trades they have already been putting on the table. Retail traders: A guy like me who wants to get in trades bets whatever you want to call it but could care less about the asset, news CEO or whatever. I want profits and dont plan on sticking around long to me a week is LONG LOL. distribution: Selling off that asset or unwinding a trade.